Trevor Thomas accompanied me for this show, as we rallied together for station support during a KSKQ fund drive. It was an opportunity to re-feature the songs I played on August 13, 2010 for a Maya’s Mix show that featured the theme of money. Even though November’s station fundraiser is officially over, you’re still welcome to contribute to the community radio station anytime by visiting the website: www.kskq.org. 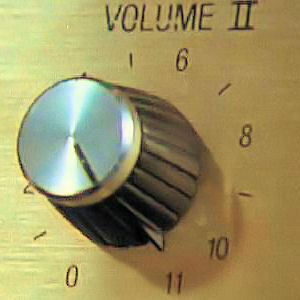 Comments Off on Turn Up the Volume… to 11! David Byrne has always been an inspiration to me, since my early kid days when I was bopping out to Talking Heads tunes. Over the years this talented musician has been involved in a range of creative projects. Since 2005 he has offered a recorded radio feed of diverse music on his website, www.DavidByrne.com, with a new focused theme each month. In listening, I’ve gotten exposed to a wide range of different styles and artists I wouldn’t have necessarily appreciated otherwise. This Maya’s Mix show highlights songs from David Byrne’s playlists over the last 7 years. Click here to visit his archive pages for the full playlists and more information. Interview clip with David Byrne from 1996: what is Latin Rock?